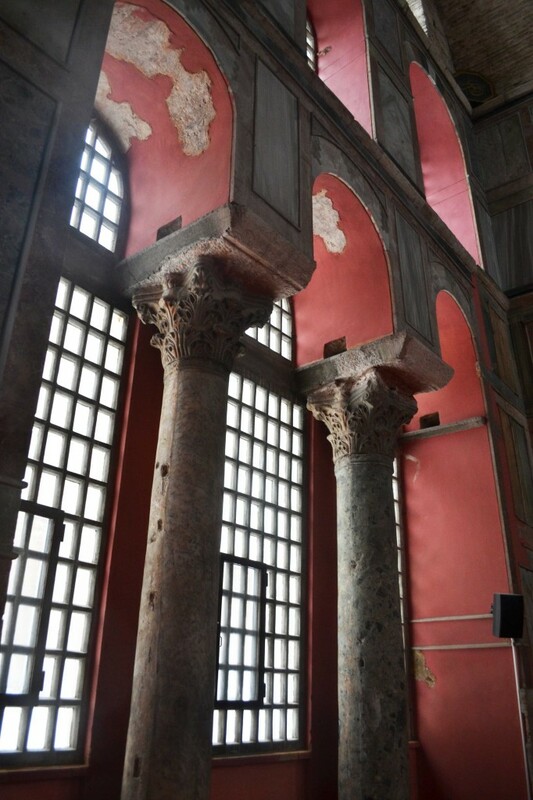 Byzantine columns in a modern mosque. Fresco of saints above the entrance to the nave. The church on the Armenian side of Kilittaşı. 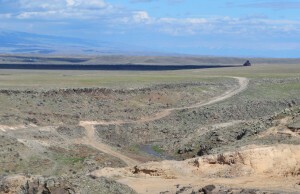 The south-east of Kars province is a barren, stony expanse of nothing much until you come to the river valleys. In these corridors of life, there is civilisation. It is now almost exclusively Kurdish but there is plenty of evidence that this was once Armenia. 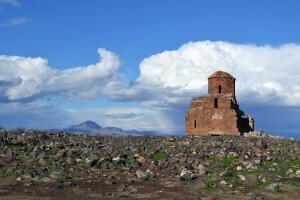 If you follow the Digor Valley north-west from the border, you find the remains of a lot of Armenian churches, dating from the fifth to the twelfth centuries. 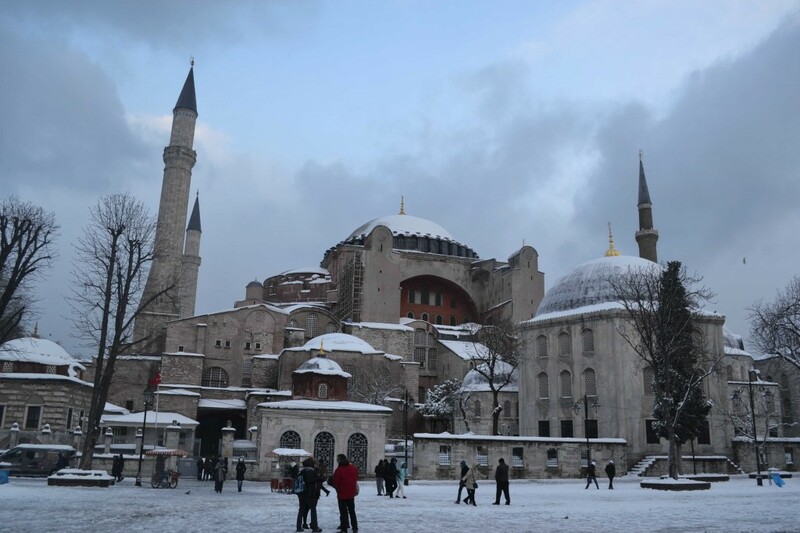 Many of these were fairly intact until the twentieth century, during which most were destroyed in what has become known as the ‘cultural genocide’, an effort to get rid of the physical artifacts of the Armenians in Turkey. Some information on the remaining stonework can be found here. Check the ‘sites near Ani’ menu. 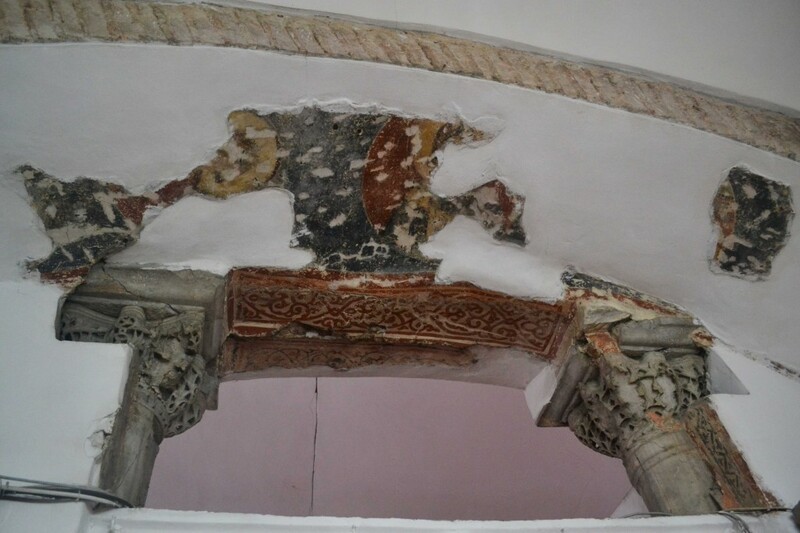 The monastery near Digor is still known as Beş Kilise (Five Churches) but the locals, displaying a sense of the macabre, refer to it as Bir Kilise (One Church) because there is only one remaining. I visited Mren Cathedral in March, 2015. 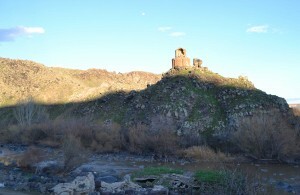 This is a massive structure standing on its own in a stony field 500m from the current border with Armenia. Gradually, I realised that the scattered stones were all that was left of a sizeable city. 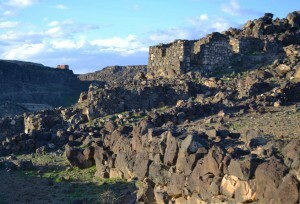 The site is surrounded by Turkish guardposts and Armenian watchtowers. I was being watched all the way there and back. Mren and the mountains of Armenia. 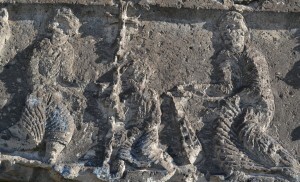 7th century relief carving on Mren Cathedral. Returning from the cathedral, I had çay with the residents of the nearest village, Karabağ. 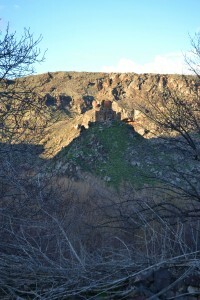 Here I began to find out about the sheer number of Armenian buildings in this area of Turkey. Just south of there was Kilittaşı, where I was assured that I would find something interesting. On a cliff above the village was a square, fairly intact church. The church is in the distance on the left. 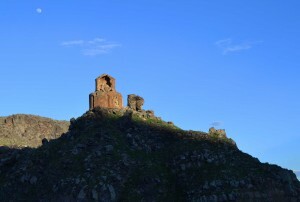 As I went down the hill towards the river, a perfect Armenian dome popped into view. It was in one of those improbable locations on a rocky peak. Across the river from Kilittaşı. As I got closer, a smiling man fell into step with me. 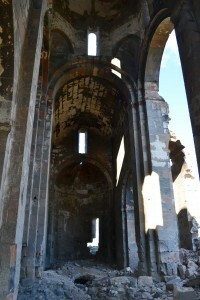 He was amused at my quest for the vanished Armenia and told me that this church was actually in Armenia. It seemed very close. The river came into view. 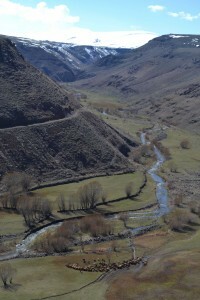 The rocky little stream at the bottom of the picture is the border between Turkey and Armenia. I asked him whether Armenians ever came across the river into the village. He laughed and said it happened all the time. The village got its fruit from the Armenians. “Do you want to go to Armenia?” he asked. I did. I splashed across the river, stayed there for 10 seconds and splashed back across a border that elsewhere is one of the world’s most heavily guarded frontiers. The last bit of sun on the Armenian church. South-west front with tombs of sultans.